Ava Phillippe, a Fool Who Dreams, Waltzed to La La Land at a Debutante BallThe teenager made her debut at the 25th annual Bal des Débutantes in Paris. Report: Ryan Phillippe’s Girlfriend Sues Him After Alleged AssaultTMZ reports that Phillippe’s girlfriend, Elsie Hewitt, claims he threw her down a flight of stairs. Katy Perry Wants to Be Let Out of Ryan Phillippe’s BasementThe previous night Phillippe tweeted that Perry wasn’t at his house. Ryan Phillippe Is Adamant He’s Not Dating Katy PerrySo don’t get your hopes up. The 54 Director’s Cut Is Coming to VODParty. Secrets and Lies Is As Unoriginal As They ComeWho did it? I think you did it. 54 Bombed in 1998. Now It’s Been Resurrected as a Cult Gay Classic.The unexpected resurrection of the Mike Myers–Ryan Phillippe disco drama. Ryan Phillippe on His Own Movies: ‘5 of Them Are Good’Which five? MacGruber and Cruel Intentions four times? Six Incorrectly Predicted Breakout Movie StarsWiley Wiggins? Ryan Phillippe? C. Thomas Howell? Ryan Phillippe to Direct HimselfIn the story of a fading movie star who gets kidnapped. Ryan Phillippe Has Second Thoughts About Doing TVHe’s pulled out of the Greg Berlanti pilot. Ryan Phillippe Gets a CBS Cop ShowHe plays a police officer on the rise. Ryan Phillippe Heading to DamagesHe’ll play a major character on the show’s fifth and final season. 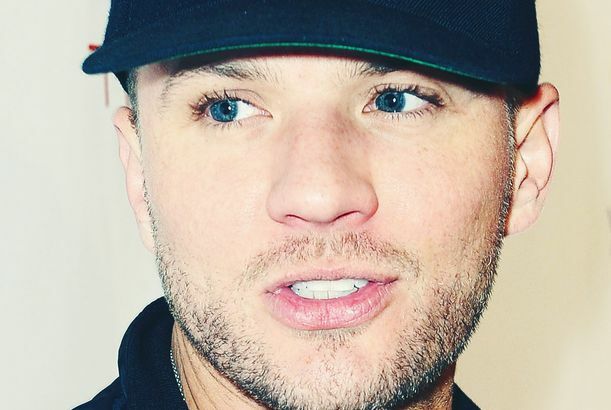 Bang Bang Club Star Ryan Phillippe: Dead Photographers Are ‘Not the Only People Who Have Suffered’The premiere of a doc about war photographers debuts at a sad time. The Bang Bang Club Trailer: War Is Hell (and Handsome)Ryan Phillippe stars as a South African war photographer. Ryan Phillippe ‘Discovers’ Gritty L.A. Eateries You’ve Already Eaten AtThe actor is at least getting Downtown more than his counterparts. Ryan Phillippe Has Joined a 50 Cent MovieHmmm. The Lincoln Lawyer Trailer: Matthew McConaughey Puts on a ShirtAnd gets serious. The Bang Bang Club Trailer: Ryan Phillippe and Taylor Kitsch As War PhotographersAlso starring Malin Akerman. Ryan Phillippe Demonstrates His Rapping Ability on Lopez TonightBoo. Ryan Phillippe Would Like To, at Some Point, Thoroughly Embarrass SelfPlus: Jason Bateman a world-class idiot. Kristen Stewart Wants You to Know She CaresAbout … something. Saturday Night Live Recap: Ryan Phillippe Has MusclesAnd Ke$ha has costumes. Door People Fail to Recognize Kellan Lutz at William Rast’s After-PartyMaybe because he had his shirt on? MacGruber Trailer: Lack of Big Laughs Is Only of Mild ConcernNo worries, as we’re still fully sold on the brand of Will Forte.